Beth Calhoun, LPC enjoys helping people with mental health issues. She loves people and loves to help them live with joy and purpose. Her purpose in life is to serve God by serving others. She graduated from Louisiana Tech University with a BA in psychology. She later earned her M.Ed from Tarleton State University and completed her counseling education at Tarleton as well. Beth is a lifelong student with studies from Southwestern Seminary, The Institute of Children's Literature in Redding Ridge, Connecticut, studies at UNT, and some mosaic art training in Ravenna, Italy. Her mosaic art studies taught her the importance of "change taking time". Her many CEU studies have contributed to her eclectic style of counseling. The techniques include strategies from Cognitive Behavior Therapy, DBT, Solution Focused, Play Therapy, Christian based therapies, and theories and strategies from other theories. Beth has owned her own counseling business since 2006. She has also practiced as a school counselor, early grade teacher in public school and a special education teacher. Beth enjoys working with all ages of people. She counsels without judgment of a person's personal preferences in life but strives to help them overcome the mental health issues, which keep them from having the lifestyles they desire. 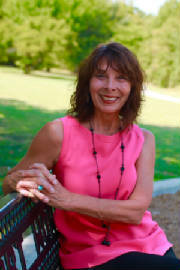 Currently, Beth works with children, adolescents, parents, individuals and couples at Oakmont Counseling Center in Fort Worth, Texas. "My philosophy is to help people be ridiculously good at life. All people have a purpose and it is my desire to help them clarify their goals and remove barriers, which keep them from fulfilling their purpose. I think everyone can benefit from the warm qualities of a caring, non-judging, knowledgeable and supportive counselor". She looks forward to meeting you and helping with your change.